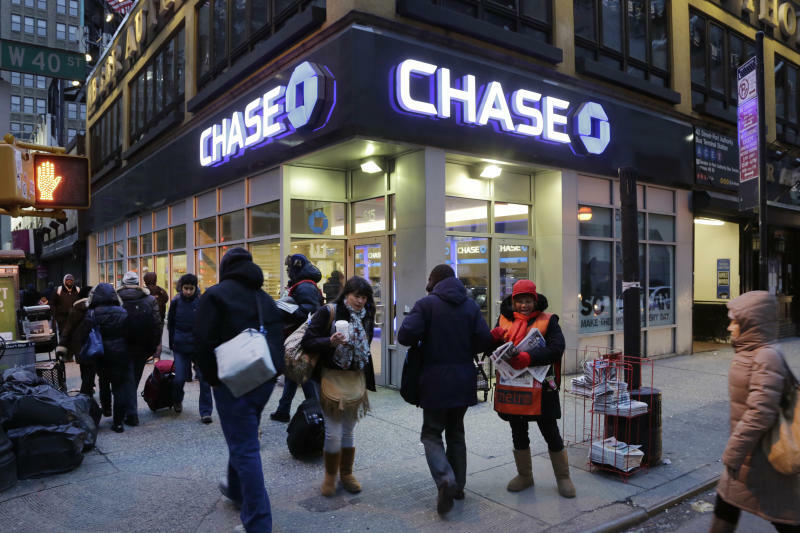 This could be the end for Chase (JPM) credit card mile churners. The bank has reportedly adopted a new rule that makes it much harder for credit card churners to cash in on multiple sign-up bonuses. In case you need a refresher — card (or mile) “churning” is the art of rapidly signing up for rewards credit cards, spending just enough to earn the signup bonus, and then canceling the card before you get hit with the annual fee. Card churners take their bonus points and miles and use them to score free hotel stays and airfare and other perks. There are dozens of blogs, message boards and Reddit threads dedicated to mile churning, where devoted churners swap tips and best practices. Lately, these churners have been grumbling about Chase’s new so-called 5/24 Rule, which the issuer reportedly established to prevent this kind of churn-and-burn activity. If applicants have opened more than five new lines of credit in the last 24 months, Chase underwriters are more likely to deny their application for a new Chase credit card — even if they’ve got stellar credit. Zach Honig, editor-in-chief of The Points Guy, a popular blog for mile churners, said he was denied twice this month for a Chase Freedom Unlimited card, despite having an above-average 806 FICO score. After the first notice saying he was denied, Honig called to ask for another shot. A representative told him he was denied because he had too many recently opened credit cards — 17 in the last two years, he told Yahoo Finance. Seventeen sounds like a lot but it’s not out of the ordinary for mile churners, who commonly apply for several new cards every few months. It’s widely known that opening many lines of credit in a short period of time can ding your credit score. By applying for only a few cards every few months, mile churners say it gives their score plenty of time to bounce back before their next round of applications. Still, it’s not clear from Honig’s experience and anecdotal reports from other travelers whether five recent accounts is the magic number that will trigger a denial from Chase. Another blogger said he was denied a Chase Sapphire Preferred card in February. It would have been his seventh new credit card in 24 months. Travel blogger Angelina Aucello said she successfully applied for the Chase Freedom Unlimited rewards card, despite having recently opened six new credit cards. Chase spokesperson Ashley Dodd told Yahoo Finance said she could not confirm that the 5/24 rule exists but did say having too many new credit accounts doesn't look great. “To continue providing valuable offers that attract those types of customers, we have restrictions related to the number of new cards customers can receive in a period of time,” she said. Chase hasn’t been shy about another rule that makes it tougher to churn and burn. Applicants who have opened a Chase credit card within the last 24 months and received a signup bonus will not be eligible for that bonus again. Chase isn’t the first bank to adjust its policies to thwart churners. American Express (AXP) has an even tougher rule for repeat customers. New credit card applicants no longer qualify for signup bonuses if they owned the same credit card at any point in the past. The fine print for the Capital One Venture Rewards Card also says previous cardholders may not qualify for their current 40,000-point bonus offer. Rules like these, which are becoming increasingly popular, are a big deterrent to card churners. It’s common practice for churners to apply for a card they’ve already owned and canceled if the issuer is running a new bonus offer. With a rule like this, the days of stacking bonuses with the same card are pretty much over if other credit card issuers follow suit. It’s not hard to see why Chase and others would want to protect themselves. The Chase Sapphire Preferred Card is one of most popular rewards cards on the market, offering a lucrative sign up bonus of 50,000 points that can be redeemed for up to $625 in airfare or hotel costs. The card comes with an annual fee of $95. If too many churners take advantage of the offer, all they’re doing is giving away cash and not making any profit. It's a delicate balancing act. Banks need to find ways to make it more difficult for churners to ditch them while still dangling a sweet enough carrot — in the form of signup bonuses — to lure in new customers. “Credit card churn is a serious cost issue for banks because so much effort is spent up front to open a new account, only to see the customer leave when the sign-up bonus has been awarded and redeemed," says Michael Moeser, director of payments for research firm Javelin. He points to Bank of America (BAC), which is trying out a unique way to attract customers and keep them. They offer 10% more bonus points if cardmembers also have an active checking or savings account with the bank. "While I would prefer to see banks use more of the carrot approach to mitigating churn, I expect to see both 'Carrot and Stick' being rolled out in the next few years," Moesner says. Mile churners are in the minority of credit users. It takes a lot of upkeep to juggle so many credit card accounts and with the average credit score of mid 600s in America today, not many people have healthy enough credit to qualify for so many lines of credit. Credit Karma, which has over 50 million users nationwide, looked at their data for Yahoo Finance. Of members who have logged in recently to check their credit reports, only about 4% opened five or more lines of credit in the last two years. "It's important to remember that most people are not applying for five credit cards in less than two years, so largely, people will be unaffected by these changes," says Bethy Hardeman, chief consumer advocate for Credit Karma. Pro tip: If you’ve been denied for a Chase credit card, try calling their Reconsideration Hotline and pleading your case: 888-245-0625.